In an effort to make Project Gateway more sustainable, Gateway Enterprise Trustwas set up in 2000. This is a profit-making trust of which the sole beneficiary is Project Gateway. In 2010, Project Gateway won a prestigious award - the Impumelelo Award. The Impumelelo Awards are held every two years and are the closest thing to the Oscars for South Africa's community development sector. They acknowledge the hard work of individuals and organisations that make it their mission to improve the lives of South Africans. As a result of winning an award, Project Gateway was approached by The Emthunzini Broad-Based Black Economic Empowerment (BBBEE) Community Trust, part of Santam's BBBEE scheme (www.santam.co.za.) They wanted to fund Project Gateway, as a well respected NGO, to run a training and mentorship programme for local crafters, and so our craft training programme was born. 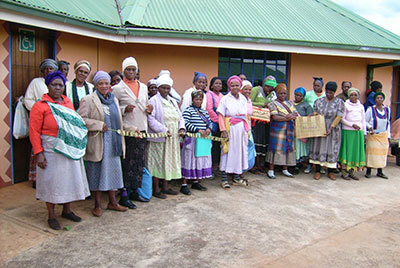 Project Gateway partners with various local crafters in KwaZulu Natal. We offer a business skills training and mentorship programme which includes asset based community development, sales and marketing, product development, costing, colour and design, and understanding of production challenges and difficulties.In addition to this we offer modules in Conflict Resolution, Justice and Peace Practices, Trauma Healing, and 'My Life, My Health, My Rights'. Many high quality handmade items are produced. These include wire, metal, beadwork, sewing, crochet, knitting, painting, woodwork and leather. Project Gateway serves the local crafters both in training and selling products on their behalf. 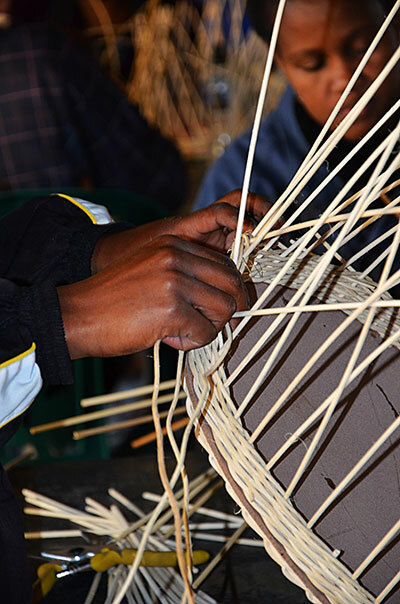 Now in its sixth year, the Craft Training Programme has proven to be very successful. In interacting with crafters we are observing increased sales, improved product quality, new products and designs, a renewed appreciation for record keeping, and reduced conflict within groups and in their communities. To date, we have now trained 30+ groups. If you would like more information on wholesale goods, or would like to purchase goods, please contact us.